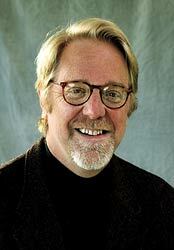 Jonathan Taplin is a Professor at the Annenberg School for Communication at the University of Southern California. Taplin is Director of the USC Annenberg Innovation Lab. Taplin’s areas of specialization are in international communication management and the field of digital media entertainment. Taplin began his entertainment career in 1969 as Tour Manager for Bob Dylan and The Band. In 1973 he produced Martin Scorsese’s first feature film, Mean Streets which was selected for the Cannes Film Festival. Between 1974 and 1996, Taplin produced 26 hours of television documentaries (including The Prize and Cadillac Desert for PBS) and 12 feature films including The Last Waltz, Until The End of the World, Under Fire and To Die For. His films were nominated for Oscar and Golden Globe awards and chosen for The Cannes Film Festival seven times. Mr. Taplin graduated from Princeton University. He is a member of the Academy Of Motion Picture Arts and Sciences and sits on the International Advisory Board of the Singapore Media Authority and the Board of Directors of Public Knowledge. Mr. Taplin was appointed by Governor Arnold Schwarzenegger to the California Broadband Task Force in January of 2007.